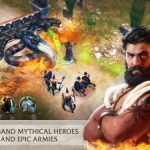 Age of Sparta is a city-building and strategy game by Gameloft, that has you protecting ancient Greece from Xerxes’ invasion, taking part in “strategic battles” and asking favors from the gods, including Zeus and Hades. 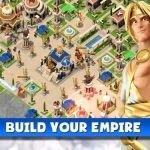 As far as city-building goes, you’ll be building a “glorious city” that can be customized any way you wish, with the option of erecting majestic monuments, as well as temples and shrines to pay tribute to the gods. 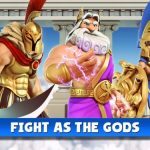 That’s just the essence of it, but if you really want to succeed and make the most out of your game-playing experience, we suggest you check out these Age of Sparta cheats and strategies for this exciting and engaging iOS and Android title. The “booster” category would include, but not be limited to trees and fountains, and their main purpose is to make your actual buildings more efficient. For instance, you can place a fountain near your quarry to improve its production rate by 6 percent, or place multiple fountains for an even more generous boost to production. 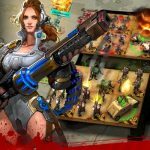 Since you’ve got the option to place more than one booster by your buildings, that means there has to be a method to the madness, so to say – place your boosters in such a way that they potentially impact more than one building. If you’re not sure what to do next or where to go, the solution to the problem is pretty simple – just follow the quests. Doing so gives you an idea of where to go, while at the same time keeping your men and your buildings upgraded as needed. More importantly, though, quests will help you earn more gold, more experience, and more premium items. At this point in the game, you’d be able to fuse identical units to make them stronger. Two Slingers fused together would give you a Slingers II unit, which would be capable of 6 attack and 6 defense, up from 2 and 2 for first-level Slingers. This makes it very important to keep fusing identical units, as long as you’ve got enough coins – it’s going to be all worth it once you head into battle. When playing in player vs player mode, the first thing you should look at when sizing up your opponents is their glory value – you’ll find that next to the character portrait. Compare theirs to yours and if you find a player that’s easy picking, then by all means go ahead and challenge him. You should also look at terrain route when in PvP – the rougher the terrain, the more you’ll have to work to win a battle. The goal of every battle, of course, is to win. But there are still tiny details you need to take into consideration when in combat. For example, the weapon triangle works like rock-paper-scissors – lightning beats shield, shield beats sword, sword beats lightning. Projectiles would also come from the top right part of the display, but you can beat them by swiping over them. Additionally, you may notice objects spawning with red or green outlines – you want to get the green ones and avoid the red ones by tapping them so they don’t activate.